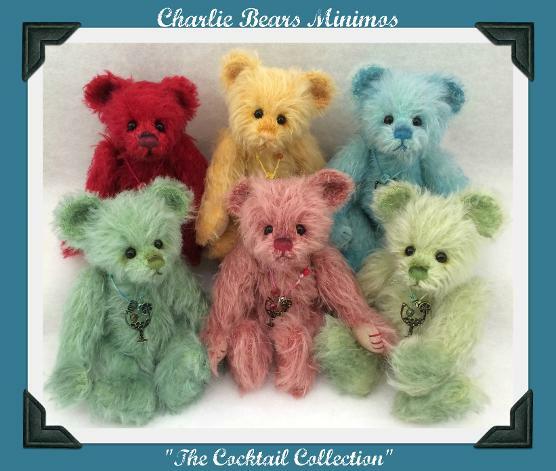 All bears are about 7 inches in size, made from a scruffy mohair with tinted backing, fully jointed with glass eyes and wearing a fun "cocktail" theme pendant with tiny matching beads. If purchased separately, each piece has a retail value of $130. Was $700 Now $545 for the set.